It’s the new year and you are on a mission towards a happier, healthier life. Perhaps just for yourself, or for you and your family. Does that sound like you? It is the situation for so many of us as a new year begins. We could all stand to be healthier, but sometimes it can feel difficult to figure out how to actually make that happen. One thing that many people point to is eating better, and more specifically, to start eating organic. In theory, it sounds great! Head to the organic section in your grocery store, pick up everything you need, head home, be healthy. It sounds simple. And it can be, but there’s a catch. Have you seen the average prices of organic food? It is expensive! For most of us, we have an average weekly budget that we need to stick to when it comes to groceries. Switching over to organic is almost a guarantee that our budget will need to increase. For some that may be an option, but for many, it isn’t that easy. So what do you do? Is buying organic actually worth it? The answer isn’t a simple yes or no, but rather, it depends on what you are shopping for. 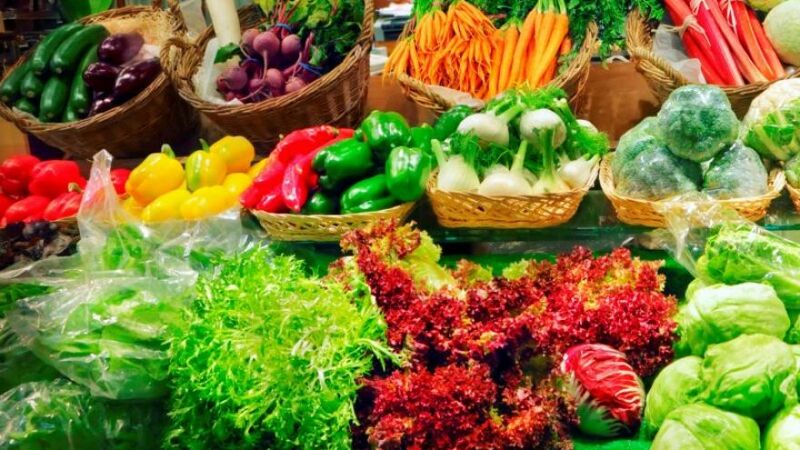 To help you sort all that out, we have put together this guide to organic food shopping. From what you should buy organic, what you shouldn’t, and tips for keeping your budget as low as possible. There is a lot of debate on which foods are worthy of spending the extra money on in order to buy organic. This has to do with tons of factors, such as if the food is more nutritious, if it is more environmentally friendly, and if it is free of pesticides. People go back and forth on these issues, and there is not a clear cut answer (unfortunately). As you’ll notice, most of the items on this list are eaten in their entirety. There is not a skin or peel that you have to remove, meaning that the outermost part of the fruit or vegetable that is directly impacted by pesticides is eventually eaten by the consumer. On the flip side, there are plenty of items that most people can agree on are safe to purchase non-organically. These foods also have their own nickname, this time being called the “Clean Fifteen” and as the name suggests, you are in luck, there are more foods that make the clean list than the dirty list! Check out the list and notice that the majority of these food items, in contrast to the Dirty Dozen, feature some sort of outer skin that you have to remove before eating. For that reason, there is less of a concern of pesticides because the outermost part of the food is never eaten. Buy in season: This is a good way to reduce your costs, as in season fruits and vegetables are sure to be more affordable than out of season items that have to be shipped in from other places. If you aren’t sure which items are in or out of season, you can either ask a worker at your store, or simply do a quick search online to see based on the season you are in and the food in question! Shop on sale: This may sound like an obvious tip, but it is important to point out. You likely go to the store with a specific shopping list, but if possible, be a bit more flexible when it comes to buying certain items. If you see that cantaloupe is on sale, go for that fruit instead of the more expensive mango that isn’t on sale (for example). Also, sometimes you will find that organic foods go on sale and are actually cheaper than non-organic. Be sure to check out everything before you make a final decision about what to buy for the week. Find a store with a reward system: Many grocery stores offer some sort of rewards or points system, and that can add up to a lot of savings over time! Check with your local store and see what they offer, and make sure you sign up and use it each and every time you go. 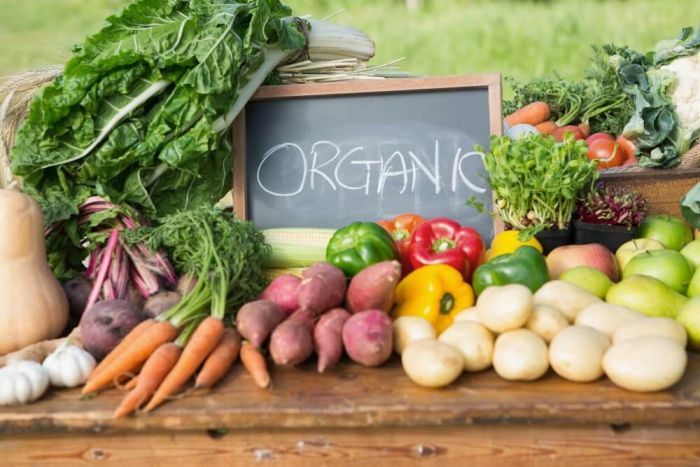 Buy less organic items: Finally, if you are worried about keeping costs low, focus more on purchasing items that are safe to buy non-organically, and save the organic items for more of special occasions, or when they go on sale. Choosing to eat healthier is a great decision to make, but we can all admit it isn’t the easiest choice! Keep in mind that buying organic foods is a choice and isn’t necessary in order to be healthier. Adding in plenty of fruits and vegetables to your diet is great whether you buy organic or not. 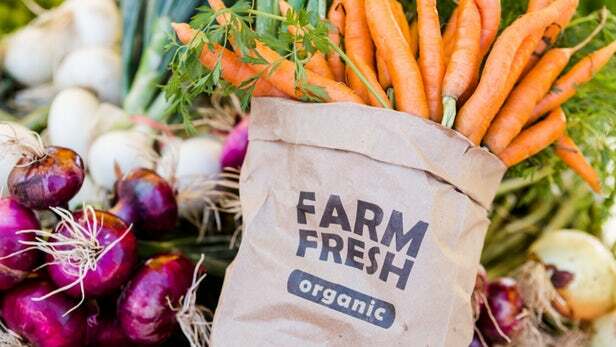 When possible, buy organic items that land on the Dirty Dozen and focus on things like sale items and rewards systems in order to keep your costs as low as possible. It takes a little extra effort, but it is well worth it! How are you getting healthy in 2019? Do you prefer organic foods, or does it not matter to you? Let us know!